﻿﻿﻿﻿﻿﻿﻿﻿﻿﻿﻿Berryz Kobo 24th single Shining Power. Also 6th closing theme for Inazuma Eleven anime. Seriously! I want to see the PV already. This had been in my head for a day now. A while ago, I decided on watching Buono!’s first concert; Hybrid Punch. While watching this (I’m still watching it actually) I remembered that Shugo Chara has ended and there’s a chance that Buono! may disband. Reasons that it may disband is that, first; it’s only a sub-group. Second; They’re no greater than Shugo Chara Egg or Guardians 4. They’re actually the same. Third; much like groups that are made for anime. Most probably, the group will disband or put in hiatus (in H!P’s case there’s a minimal chance to revive a group when it’s put in Hiatus, check it’s history). Example are Milky Way, Athena and Robikerittsu (spelling check), and in some case Tsukishima Kirari aka Koharu Kusumi. First; they lasted for more than a year for a sub-group that was made specifically for an anime (they’re about 2 and a half years now). Third; the reason why Buono! means a lot to Tsunku. Because for a sub-group that was made specifically for an anime to have sales reaching 15,000-42,000. Oh yeah that’s big. Fourth and the last; Buono! has a total of 10 releases all ranking in the top 10 of the Oricon charts (hell they beated Berryz in this one). They had 3 studio albums. 1 Collaboration album. 2 Concert DVD’s, Hybrid Punch and We are Buono! which is soon to be release next month. 2 Fan Club DVD’s. 3 DVD Magazine. 1 Photo Document. And they have a total sales of 356,022 since their debut. My conclusion is that Buono! won’t disband. Reason is all stated above. I think that Tsunku is only waiting for the contract in Pony Canyon to expire and they will be soon transfer to Piccolo Town (same as Berryz Kobo). And most H!P artist releases a new single at least after 4 months. 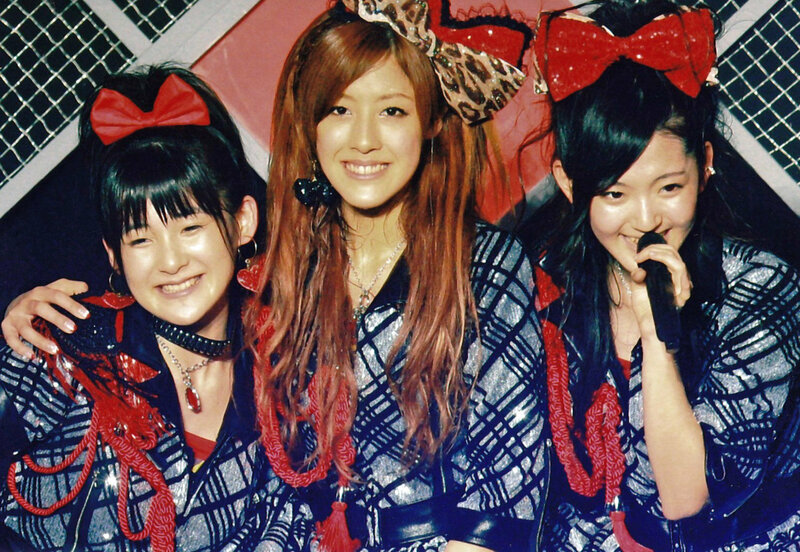 Here are the close-up versions of each Member of Berryz. Okay, so here I am with new things you can download. Let’s start with Berryz Tomodachi wa Tomodachi Nanda! Close-up & Making! Next, so the making file exceeded the file limit upload for all uploading sites so I split it into 4 files with lower file size and then you guys could combine all the files to make it one .avi file after.